After several wonderful days visiting the various National Parks in Utah, it was time for us to head to the Grand Canyon. 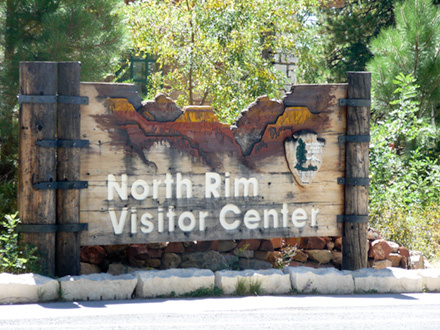 We planned to visit the North Rim for a couple of days and then drive to the South Rim for another couple of days. 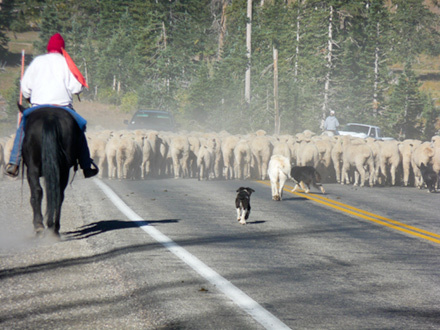 As we headed out of Brian Head, Utah, on our way to the Grand Canyon, we encountered a herd of sheep moving on the road from the high pasture near Cedar Breaks to lower pasture. 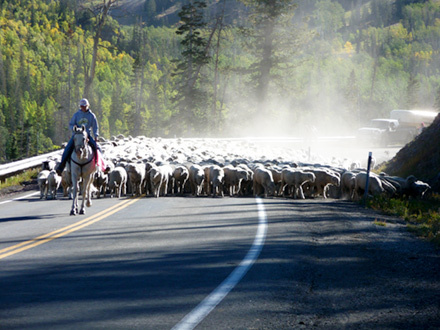 When I was growing up in Western Colorado, this sheep moving along the road to new pasture was fairly common. But it was new to my wife. 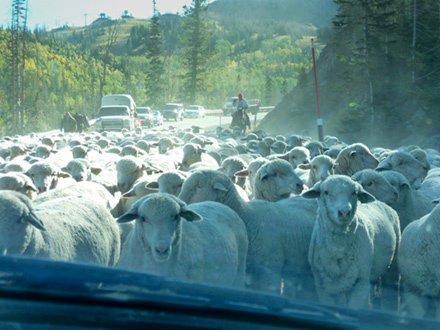 The sheep surrounded the car as they flowed past us. Two border collies seemed to be in charge of the whole thing. A younger border collie seemed too excited about the whole thing to be of much help. And a couple of large dogs, a golden retriever and a Great Pyrenees, looked like they were managing the company. The big dogs looked like it was way below them to actually herd the sheep. They just had to make sure everything was moving. 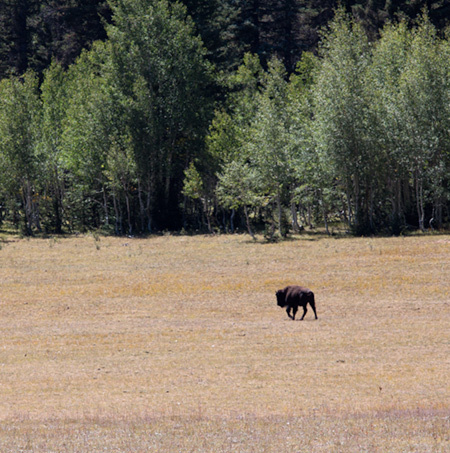 Shortly after we entered the North Rim of the Grand Canyon area, we saw a single buffalo wondering across the grass. It was strange seeing a single buffalo because we were used to seeing large herds of buffalo based on our experience with our Trip West in 2008. We were also surprised to see a buffalo here because this part of the west was not part of the buffalo's range. Turns out that this buffalo was part of a small herd of buffalo brought to the North Rim area in 1906 to cross breed with cattle. The experiment didn't work out and the buffalo were sold to the Arizona. We stopped at the North Rim Visitor center and then headed down the road to find a picnic spot and to see the North Rim of the Grand Canyon.